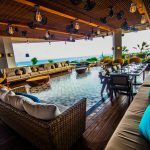 Whether you’re short on time or just want to know the spots you can’t miss, we rounded up a few of our favorite places for a perfect day in Playa del Carmen. One of the largest and most famous Maya cities, Chichen Itza is an archeological site located in Yucatan. 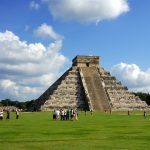 Its most iconic feature is El Castillo (Spanish for “the castle”), a pyramid structure located at the center of the site. Chichen Itza is one of the most visited archeological sites in Mexico, drawing in an estimated 1.4 million tourists a year. Skip the crowds and visit early morning or late afternoon. 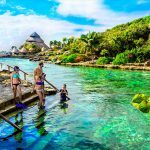 Get a little bit of everything at Xcaret, an eco-archaeological family theme park with more than 50 different attractions to explore including river cruises, archeological sites, snorkeling, dolphin rides and more. For the less adventurous, there are attractions like a butterfly pavilion, a jaguar island and equestrian shows. Guests can also fill up on local culture with pre-hispanic performances and a colorful light show displaying the history of Mexico with more than 300 artists. JOYÁ at Vidanta Riviera Maya takes dinner and a show to a whole new level. Created by Cirque du Soleil, the over-the- top show is housed in its very own theater that was designed and created specifically for the production. The show weaves Mexican history, heritage and culture into the story and the dazzling night also features a custom-designed culinary experience that’s just as impressive as the show. Diners will be able to find the original Moët Champagne Mercier here, exclusive to the theater. Located at Thompson Playa del Carmen in the heart of 5th Avenue, CATCH is a rooftop sushi restaurant that transforms into a trendy after-party when the sun goes down. From the same people behind the popular NYC and LA locations, CATCH features DJ sets, live performances and dancing along with nightly specials that include ladies’ night on Thursdays, Champagne specials on Fridays, a resident DJ on Saturdays and industry night on Sundays.